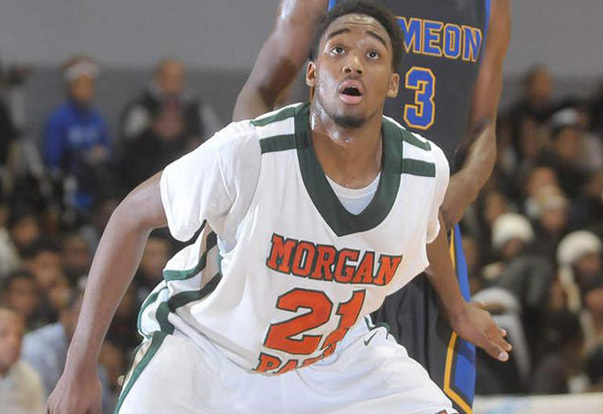 After a 36 point, 22 rebound performance in front of Tom Crean on Wednesday night, Morgan Park (Ill.) class of 2014 forward Josh Cunningham is the latest prospect to receive a scholarship offer from Indiana. Cunningham confirmed to Inside the Hall via text message early on Thursday morning that the Hoosiers extended an offer to join the 2014 recruiting class. His performance came in the opening round of Chicago’s public league playoffs as Morgan Park (16-5) crushed Dunbar, 105-28. The No. 122 player nationally in his class according to the 247Composite, Cunningham is one of the best remaining players available for 2014 and has offers from Bradley, Creighton, DePaul, Oklahoma and South Carolina, among others. “I’m still open to any school,” Cunningham said via text. The 6-foot-7 forward told Inside the Hall that he might make it down for one of IU’s four remaining home games. He has one official visit available to take this spring. He’s already taken official visits to Bradley, Creighton, Iowa State and Oklahoma. Indiana has three players already signed for 2014: James Blackmon Jr., Robert Johnson and Max Hoetzel. Oh ye of short memory-I remember 10 win seasons! That really SUCKED! Actually Syracuse, ND, MSU come to mind. My god, a guy posting who actually KNOWS something! It is entirely possible that Tom Crean and his staff form their opinion on Peter Jurkin (or any player) based on the hours of practice they have with them. I hope they are capable of seeing what Peter can do during that time and maybe it’s not comparable to what Howard can do. Mike White is a good story of a kid who really worked hard to get his degree, was a solid citizen, played hard, etc. But he was not a quality Big JUCO. Sometimes your fiercest critics are your strongest advocates! So if Troy makes the strides in the off season and takes the WS role, where do you think JH will fall? I know people want to make the CW comparisons but I am not sold on that yet outside of rebounding. I guess what I am asking does Troy despite being a year younger become more of a focal point that JH? He is a purer shooter than anyone currently on the IU roster. He isn’t Nik Stauskas though. Interestingly, I’ve seen him make more tough challenged shots than wide open ones. Good news is that it’s way easier to get good at making open ones than distracted ones, and he’s bound to have fewer wide open looks at IU. He has a little more handle than you think, and can use it to create a jump shot. He can also go by 4’s and 5’s but has a hard time finishing in traffic. Strength is really going to help him. I don’t think he’ll play much next year, but I highly doubt its a wasted scholarship. He has really good size and length, is athletic enough, skilled enough, and has a needed commodity. His frame suggests that he can add weight, which is all he really lacks to contribute as a stretch 4. I think he’ll be a solid rotation player his junior year and maybe give us 12 & 6 as a senior. Excellent…thanks a bunch Scoop, I appreciate the info. You can even see it in the video. Check out 19:30. A freethrow by Michigan and you can see the entire behind the basket section sitting down without making noise. The GA section was on their feet and made good noise, and the balcony corners were. No one else. I was actually told to sit down by a student. I’ve been going to games for nearly ten years now, I’ve never seen a more subdued crowd at a Big Ten Game. 3 out of 300+, and MSU is the only one we will play minus Payne to boot. Yes; I know. But I’ll always have some disappointment that they didn’t go further. Alex, I had posted another comment here; but it is missing. Would it not show “deleted” if it had been removed? It was a response to Andy’s accusation of trolling. Actually, I was describing the entire team: Cody inside, Vic slashing, Wat and Jordy bombing from three were my primary focus. No one actually believes the height and weight listed on the rosters: MSU: Guana 6’9 250, Costello 6’9 240, Payne 6’10 245, Schilling 6’9 240; ND: Sherman 6’11 255, Knight 6’10 258, Katenda 6’9 230, Auguste 6’10 242, Burgett 6’9 227; Syracuse Christmas 6’9 250, Coleman 6’9 280, Keita 6’10 220, Obokoh 6’10 210 (he sure plays Big, did you watch the Duke game?). That is plenty of tall and big timber, as I said. 250 lbs is NOT a magic number for Big basketball players! You are wrong! I will take that as a “mea culpa”. Seems we are kinda agreeing? And maybe we just interpreted the metaphor of the word forest differently. I don’t think the Hoosiers will be worse next year if Vonleh leaves. I think they’re totally different players. I’d suspect the hope is for Williams to become more of a wing/perimeter slasher and Hollowell isn’t nearly as quick to the basket. He’s probably a little better on the block, though. He’ll become even more importand down low if Vonleh is gone. If I remember correctly he was Knight’s 2nd foreign player (after Uwe Blab, but not nearly as good.) Pelkowski played (and I use the word sparingly, because that’s how often he was in the game,) in the mid-80s. He was a Colombian, 6’10”, thin, but he could shoot. Couldn’t do much else, though; that was the problem.